(RRP £69.99). A touch of luxury – elegant and light leather dress gloves from Dents in delicate pastel shades that are just perfect for spring or even summer outfits, whether they are for day or evening wear, for vintage, 1920s/1950s retro or more modern styles. They are made from finest hairsheep leather that is ‘butter soft’ and smooth and are unlined. 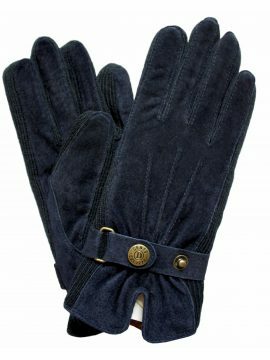 There are lines of raised stitching on the back of the gloves in an ‘Art-Deco’ style and there is a short vent at the wrist on the inside. (RRP £69.99). 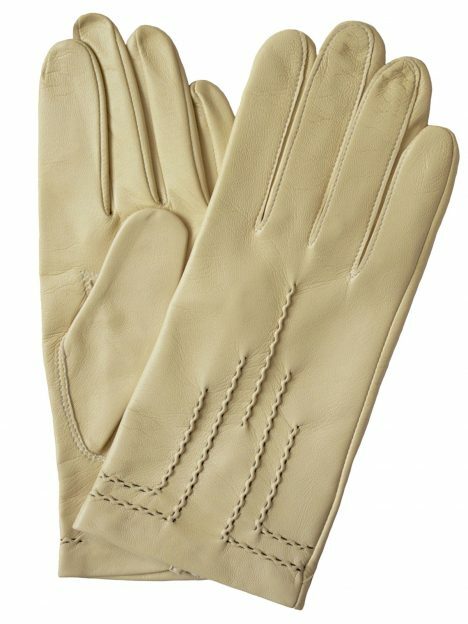 Such elegance and style – leather dress gloves of the finest quality from Dents. Crafted in delicate pastel shades, they make a perfect accessory to any outfit for smart occasion wear, especially in spring and summer – whether you have a vintage, retro or more modern style in mind. Sizes are given as the palm circumference. Highly recommended - 5 STARS - guaranteed or your money back + full postage refund costs/both ways. Beautifully elegant long leather dress gloves by Pia Rossini in soft black leather. 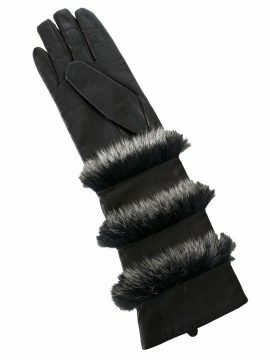 The gloves reach nearly to the elbow and feature 3 bands of black and silver faux fur trim. Silk-lined. Please see our Product Description below for more details and important sizing information. 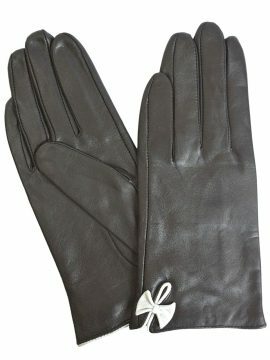 Ladies short black leather gloves by Pia Rossini, good for smart or everyday outdoor wear. 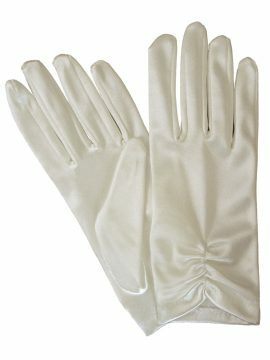 The gloves have a pretty bow feature in white leather together with piping around the cuff. Knitted acrylic lining. Please see our Product Description below for full details and important sizing information.